Healthy Performance specialise in employee health and wellbeing, working in partnership with their clients to develop a healthy culture at work and enhance performance. Since 2009 the team at Healthy Performance have worked towards becoming the UK’s health and wellbeing supplier of choice. 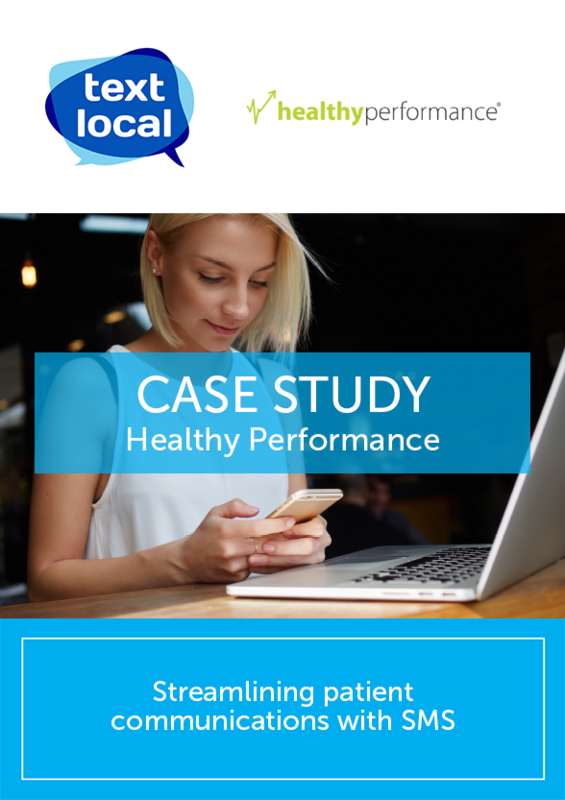 The team at Healthy Performance needed a service that would enable them to contact groups of people with the same message. The system would need to include personalised, custom fields so that each contact would receive the correct appointment date or information, without the need for staff to create this manually. One of the main benefits of using SMS was that the team were able to log on anytime from any location and access the Textlocal SMS service. Healthy Performance could use the service to create a single message that could be sent to specific groups, advising them of any changes in appointments or events through built-in custom fields. The additional information the team were able to include in the SMS has really improved the employee experience as they can refer to their SMS to check the location, department and time of their appointment rather than calling. The feedback they have received from employees has also further reflected the positivity of this proactive form of communication.